the vacations are over, aftr 1 and half month here in the Canaries its time to pack up the bags and get back on a plane! Staying in one place for such a long time its a pretty rare thing for me….and i quite like! You go out in the same spots, hang out with the locals, but also go to the same supermarket and cook, which really makes me feel like i’m at home and relaxed! Conditions in winter here are pretty random, the wind can basically be from every direction, strong, light, it can stop for a few days, but there’s also some sick surfing spots…so yah, overall was a good time here! Tomorrow I only have one stopover in Swiss before heading to Cape Town for the NP shoot. Its gonna be fun to ride with Keahi and Susi again! 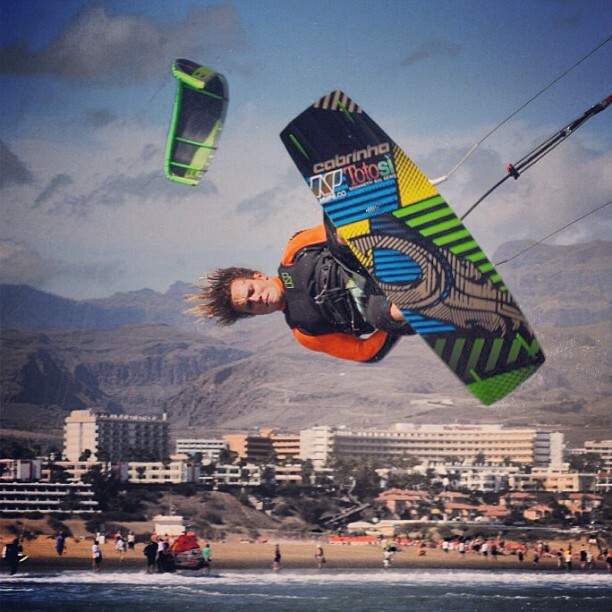 In a week time then I’ll fly straight to Morocco for the first Pkra event of the year!